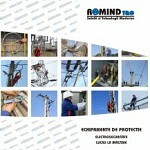 Starting now you can download the new Catalogue of Safety Equipment 2014 – 2015 in Romanian language. For the printed version just send us the contact details on our e-mail address marketing@romind.ro in order to send it to you via post. Thank you for your interest in Romind T&G!